From what I hear Make the Bread, Buy the Butter is a must have for home cooks. After loosing her job as a book editor for Entertainment Weekly, Jennifer Reese set out on an ambitious task to answer the question I know I've asked several times, "Is doing it yourself always cheaper?" After curing prosciutto, trying to get those crannies in an English muffin, and buying goats to be a better cheese maker, Jennifer’s kitchen-related experiments yielded some surprising results. Every recipe in the book starts with a breakdown of whether it's better to make or to purchase, by looking at the overall cost breakdown of each ingredient. If you're into DIY projects this book is for you. 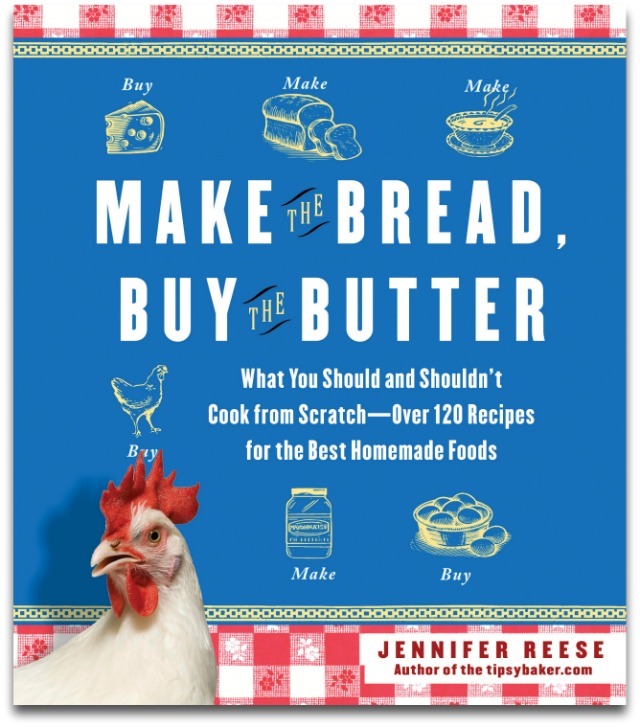 Today I get to give away a copy of Make the Bread, Buy the Butter. For a chance to win leave a comment on this post. Is there anything in particular you make in your kitchen that you think is more cost efficient than buying at the store. We always make our own yogurt and granola, for example. If there's something you make yourself leave me a comment telling me what it is. I'm curious to know. To Enter: Leave a comment below +1 more comment: You can get more entries by becoming a Kitchen Corners' Follower using Google Friend Connect on the footer of the blog. Leave an additional comment telling me that you're following. +1 more comment: By subscribing via RSS or email to Kitchen Corners' feeds. Leave an additional comment telling me that you've subscribed. +1 more comment: Follow me on Facebook and/or Twitter. Leave an additional comment telling me that you're following. Giveaway closes: Midnight Tuesday PST December 13. The winner will be randomly selected, contacted via email, and announced next Friday.